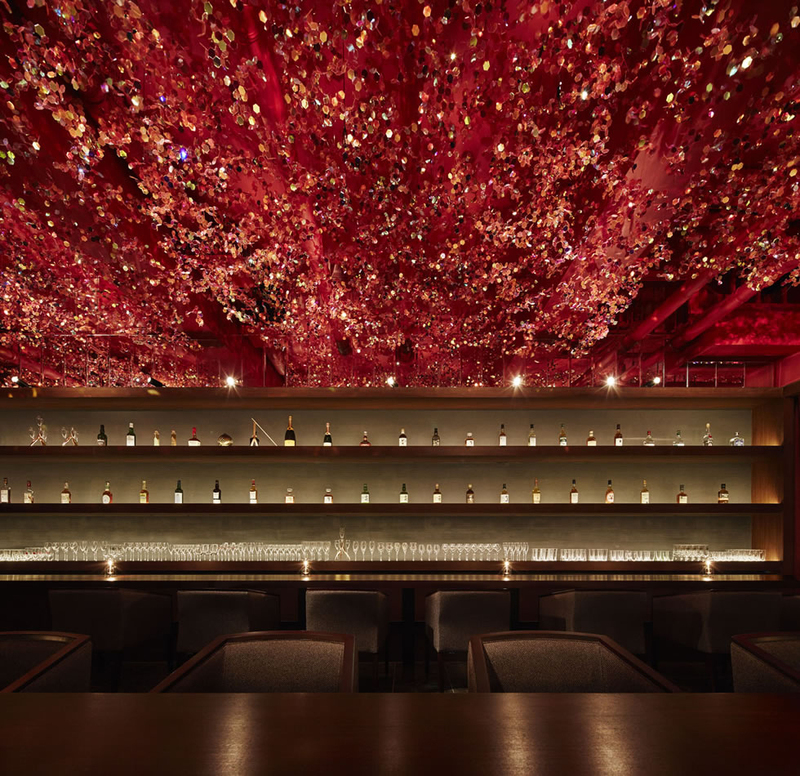 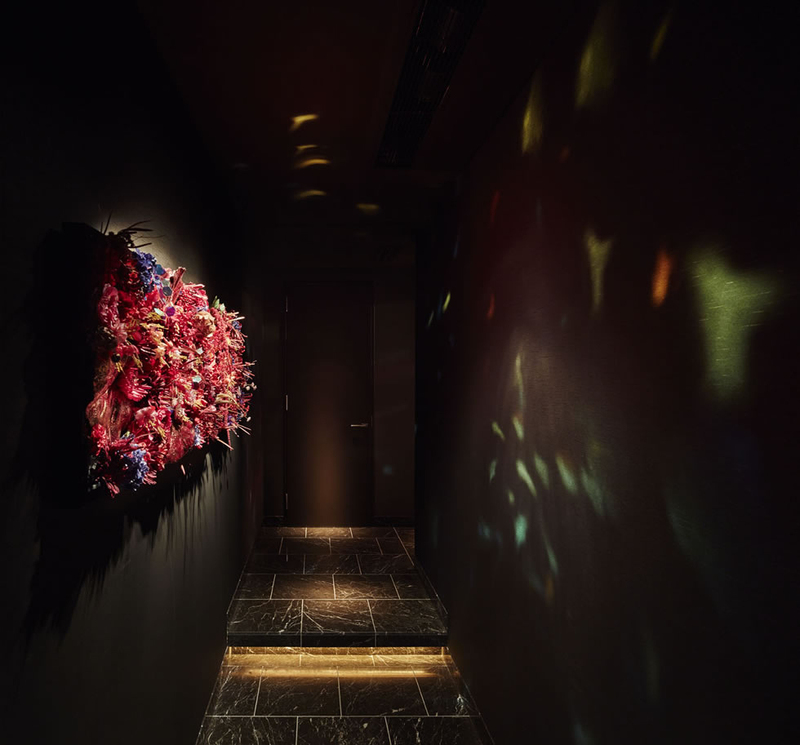 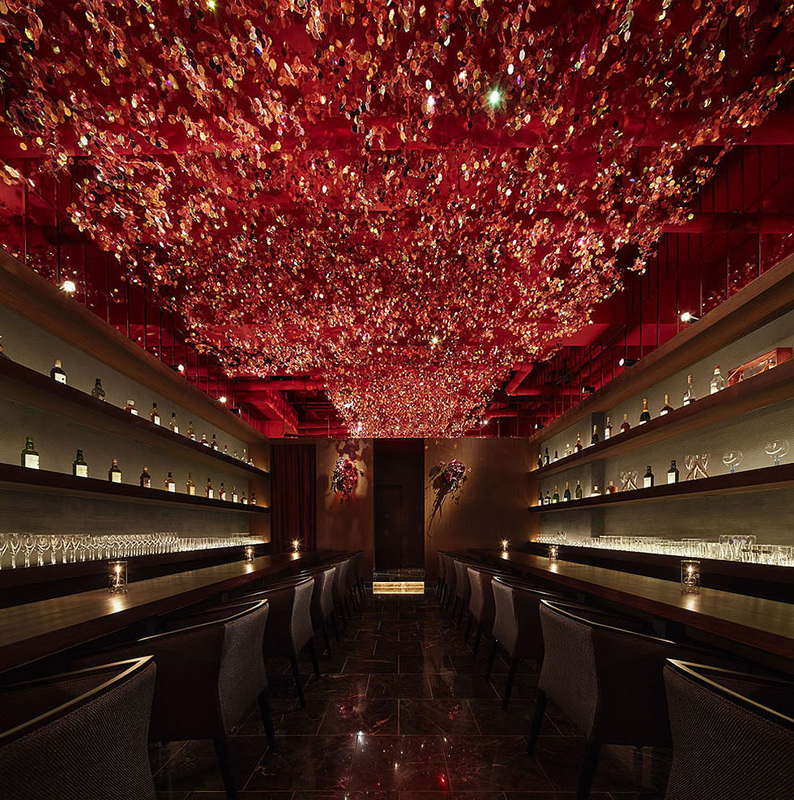 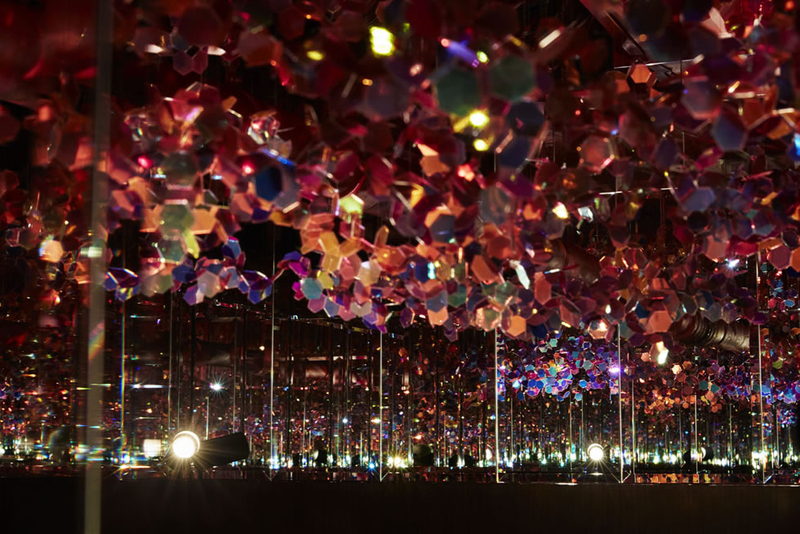 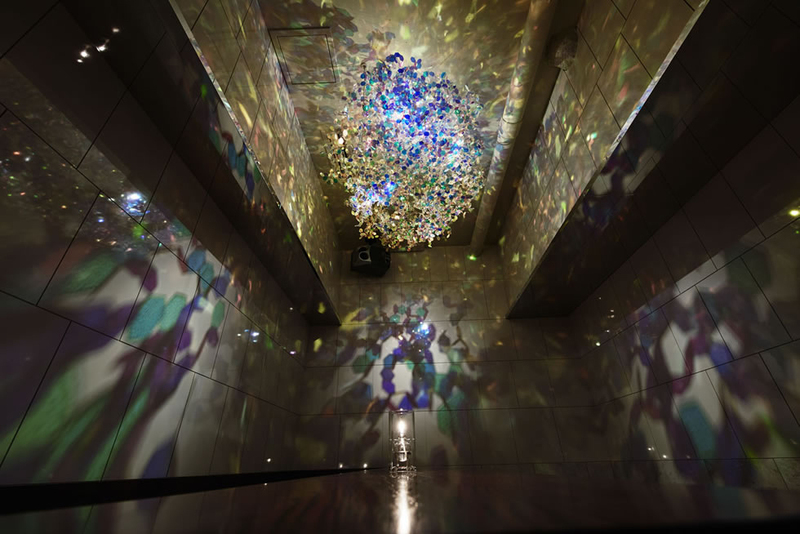 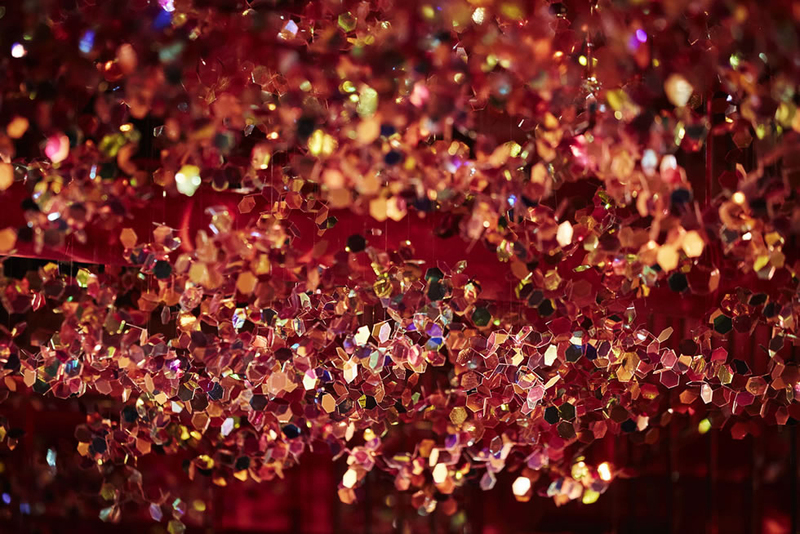 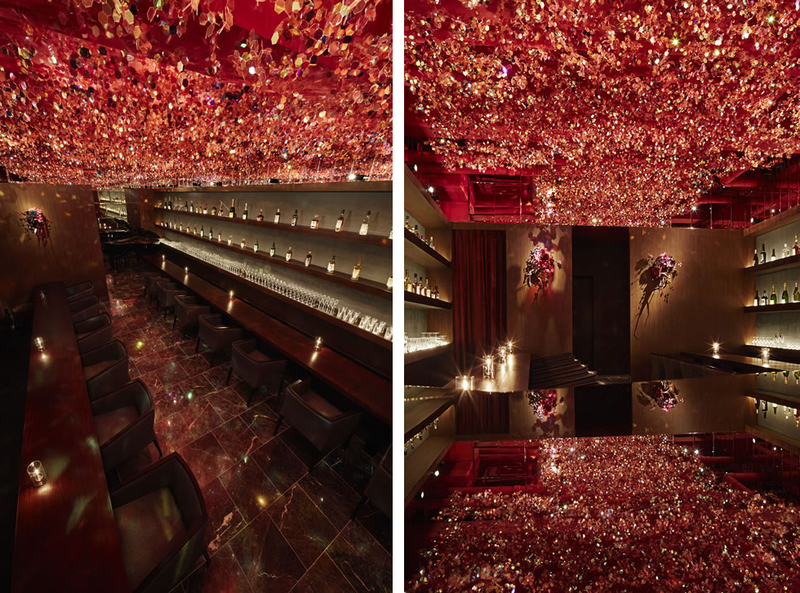 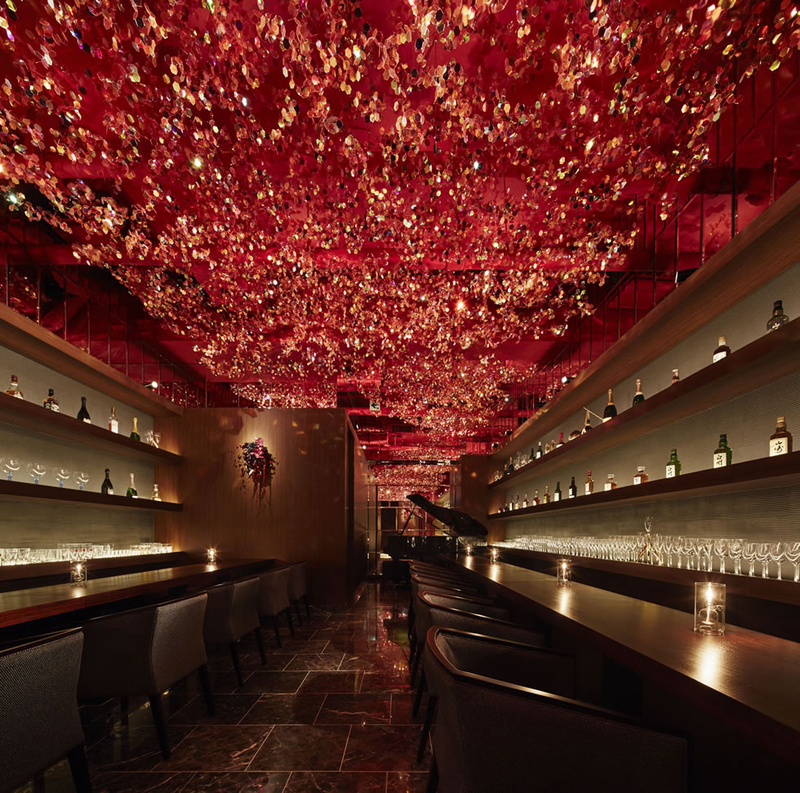 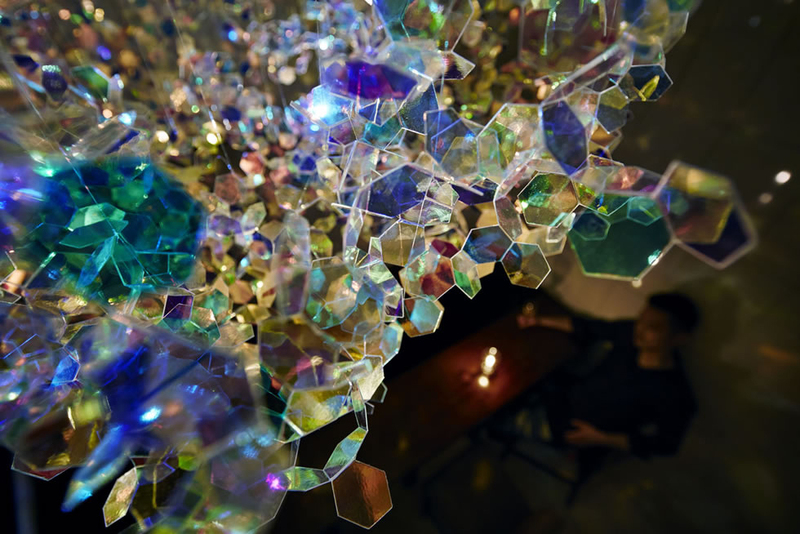 Cherry Blossom Ceiling inside RICCA Bar Tokyo by ROITO. 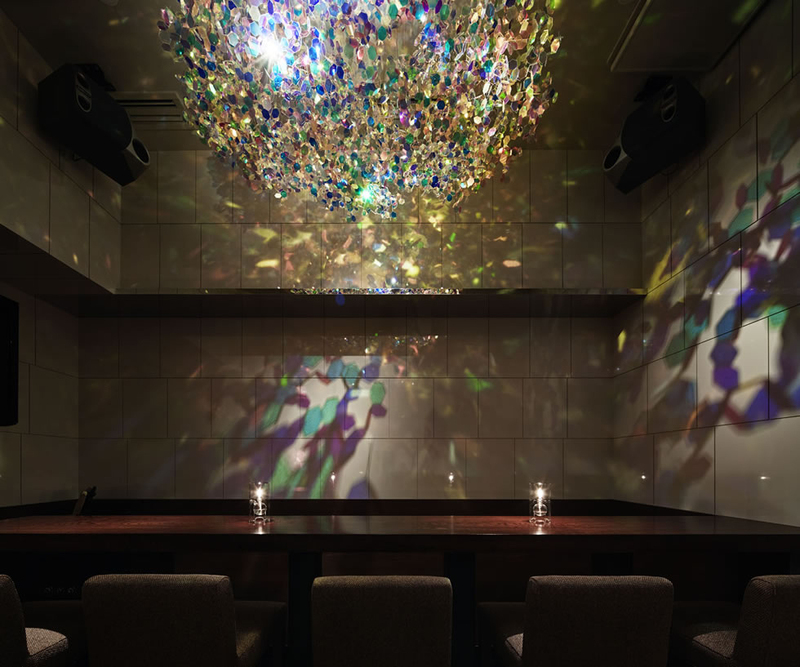 RICCA bar is located at Kagurazaka, Tokyo, famous for it’s traditional Japanese atmosphere and the alleys. 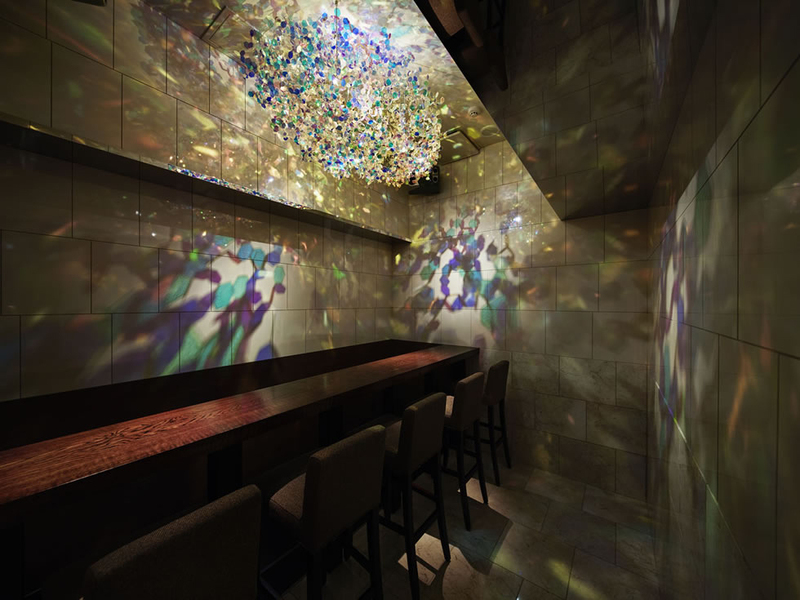 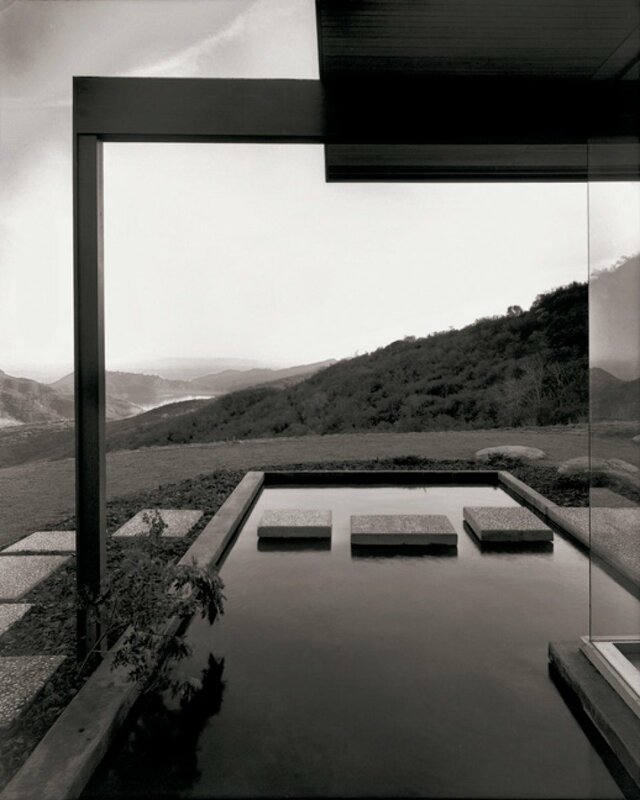 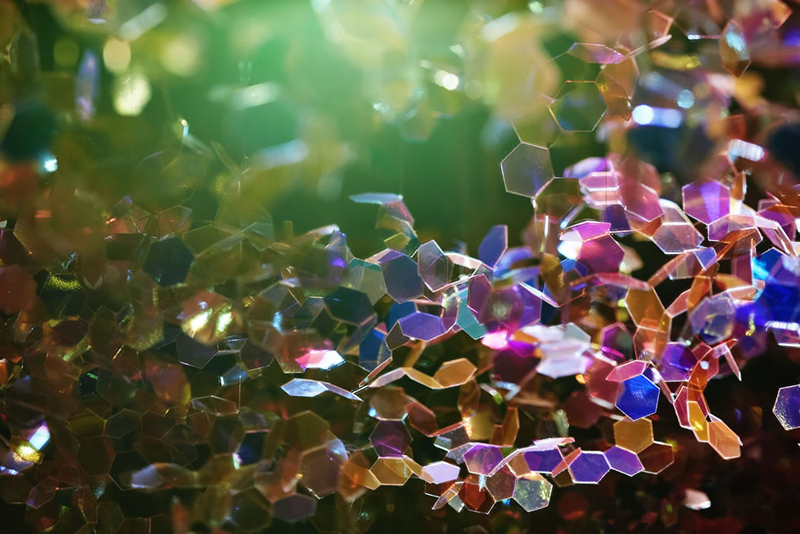 Ryohei Kanda of Roito designed the space as a celebration of the Japanese cultural event known as “Hanami”, or “cherry blossom viewing”. 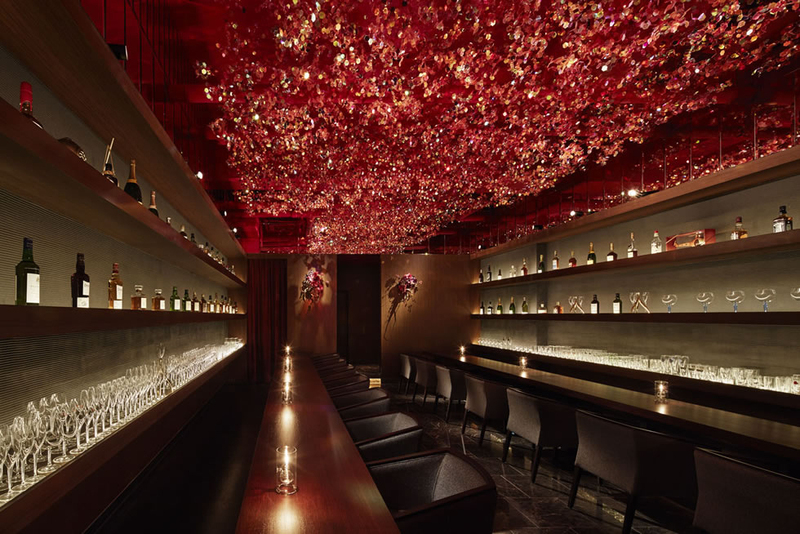 This unique event takes place for only a couples of week each year in early spring, as the cherry blossom flowers remain in full bloom for just a few days.